My invention came to me on my way home from work. The sun was setting, blinding me, when I was approaching the traffic signal, I could not tell what color the light was on (red, green, yellow.) that's when it came to me to have a see through visor, same idea as sunglasses, cut down on glare. All vehicles have visors, why aren't the see through? It has been since Jan. 2006 , I am unable to fund this idea to bring it to market, so I'm asking for a buyer, and a simple royalty if it is marketed. 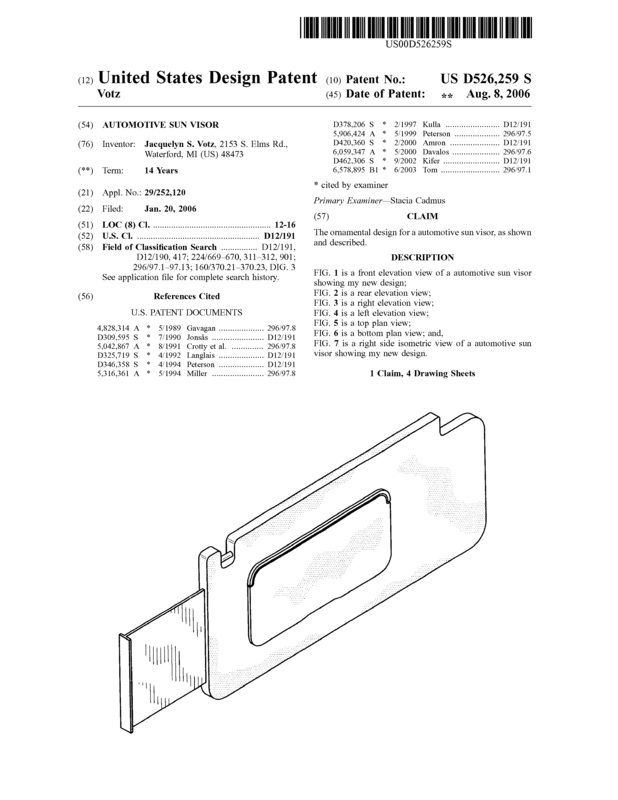 Page created at 2019-04-25 18:39:42, Patent Auction Time.